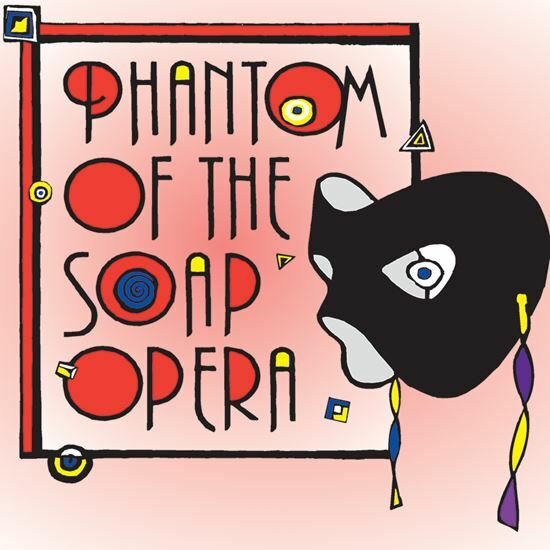 Bring the mysterious Phantom to your stage in this Broadway-quality musical with eight original songs. A Phantom, who inhabits the depths of a TV studio, creates murder and mayhem when he seizes a beautiful soap opera heroine, for whom he has an obsessive love. The cast and crew, including a haughty, aging actress, a scatterbrained secretary, an uptight director, a long-suffering writer, a leading man who is a star on a rival soap, and others are thrown into chaos. A laid-back police detective decides he'll trap the Phantom at a masquerade ball! Lighthearted and immensely entertaining. The whole cast sings about the fun of a daily TV show in the rousing opening song, "Soaps," while Harlan and Regina have a romantic ballad "Love Among the Stars." The Phantom himself takes the spotlight in "The Object of My Obsession." And for a suspense-building finale, there is "Showdown in Studio 13."